I've been "blogging" for almost 2 months. FoodieFoodMood came into existence on June 7th, 2017. I've been trying to switch careers since 2012. I'm a designer, with too many years of experience and sometimes I feel that I have run out of ideas. My choice was to move to photography, as it is a passion of mine, but couldn't manage to get myself together and had no idea how to start. So now back to 2016, I turned again to photography as a way to ease my anxiety, as I was going through a rough time at work. So food photography turned into my therapy. I was enjoying making pictures, and posting them to Instagram, occasionally Facebook, and then, at the beginning of this year (2017) I was offered a job as a designer for a food blog, one I couldn't accept due to location. This got me thinking: "so people actually make enough money blogging to pay for designers?" And started my research to see how to go about a blog. But I was intimidated! All those food blogs are filled with beautiful pictures, and I thought I couldn't compete with them! But guess what? I don't have to compete with them. What I do is unique, and so is what they do! There is enough space for all of us to grow. So I spent the following 6 months preparing a portfolio, taking food photography workshops, writing some recipes. There was a lot of going back and forth because I was indecisive about blogging in Spanish or English. And I wasn't feeling quite ready but on July 7th I hit "publish". I know it's only been two months (almost), but I love FoodieFoodMood. I love it so much. It's almost as it has its own personality, or maybe there is a little bit of me showing there that I didn't know existed. For that I am grateful. I have been forced to get out of my comfort zone to "network", which means interacting with people (a thing that as a serious, very serious introvert I avoid at all costs), and it's been good. The community is very supportive and I have found nothing but encouragement and people willing to help. FoodieFoodMood makes me happy. So my blog is also helping me to grow on a personal level. 1. Find something that you really like. It will be easy to stick to it if you are already in love with it. This is what some people call a "niche", but I think that word is off-putting and overused, so I'd rather call it "the thing you like". So once you've decided you want to write about pigmy goats forever, proceed to step 2. 2. Buy a domain name and find a host. Some hosting companies offer you a plan with domain name included, the trick is that you have to pay a lot of money in advance. I wasn't able to do that so I chose a monthly option and brought them separate. I have to tell you I didn't do much research about where to buy the domain name, and went to GoDaddy because, well, it kept popping up everywhere, stalking me with emails and following me around the Internet, so I gave in. Haven't had any problems so far, but I have to say I was about to lose my mind while setting up G-Suite. For the hosting site I did do my homework. I searched far and wide on the Internet for the best option (note that I am talking in personal terms: the best option for me might not be for you, so do your research). I started with Wordpress, because, well, everybody was there. But, I hated it. I hated the templates, I hated the messy dashboard, I hated the themes. To be honest I don't know how people get around so well there; I couldn't. Wordpress isn't for me (at least not at this point in my journey). So I went with Squarespace: their themes are clean, the interface is super intuitive, the analytics rock, and it's affordable. I currently have a monthly plan and an email plan with G-Suite, and it works for me. If you decide to go for this, I'm willing to help with the set up in case you need help, but their interface is extremely easy to navigate. So, yes, I've been a terrible student because of all the things they recommend the one I haven't done and that it seems extremely important is building an email list. But I'm working on it! 4. Create your social media accounts. You might think you know everything there is to know about social media, but believe me, you don't (or if you are under 25, you probably do). To give you an example, I've been using Pinterest for ages. Only when I started blogging I realised I knew nothing about it. I didn't take into account if somebody was repinning my pins, I didn't even know how many followers I got. Facebook is also mighty: most of my traffic is coming from there. I decided not to create new accounts for Pinterest and Instagram and just keep my personal ones, but then again, do what feels good to you. 5. Invest in branding. As a designer, I cannot tell you how important this is. Having a cohesive brand is going to help you find your ideal customer. You are doing something you love, but wouldn't it be great if you could profit from it? Many people undermines the value of great design by thinking all they have to do is put some colours together and find some free icon online and that's that. There are many resources out there to help you, I've heard great things about Canva (I do not use it, by the way). This is something I can help you out with, as I've been a designer and working with branding and web since 2005. Feel free to drop me a line! 6. Set up Analytics. You want Google to find you! I think the ultimate goal for a website owner is to get a constant flow of traffic coming from search engines. Google will guide you through the process of setting up the code in your website. Also, make sure you use Google and Bing Webmasters tools, to gain insight about optimization and best practices. 7. Monetize it. To be perfectly honest, I don't think my blog is going to make me rich. I don't think I'm going to put some ads, write some blog posts now and then, join some affiliate marketing and that's it. 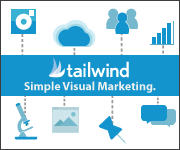 I see my blog as a marketing tool, treat your blog as a business, you have to work on it! A lot! I am planning to open an online shop where I can advertise my services. I have put adSense and joined affiliates because why not? It's nice to have pocket money. Speaking of AdSense, I've heard people adding Google AdSense and get it approved within 1 week. In my case, it took about a month. I thought I needed to have more traffic, or the blog needed to be a little older, but I think what Google likes is content and consistency. The ads are showing on the blog now, and although I'm happy about it, I don't put ads everywhere because I know how annoying they can be. Plus, unless you have tons of traffic you won't get a lot from AdSense. 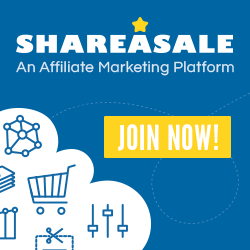 ShareASale: Once I decided that yes, I wanted to go with affiliate marketing, I joined ShareASale. They have awesome merchants, some of them sell cool stuff that I'd buy myself, others are tools that I use everyday or would like to use in the future. 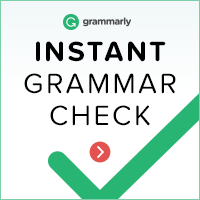 Grammarly: As many of you know, my first language is not English. I taught myself how to read and write English by translating songs when I was a teenager; then I moved to South Africa and learnt to speak it. I read a lot, both in English and in Spanish so I guess that is why my English skills are not terrible. However, there are things that cannot be translated, they must be interpreted. 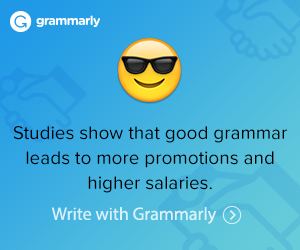 That's when a tool like Grammarly is priceless. I use it everyday at work (when I have to send emails to my boss or colleagues), and now that I have a blog I am using it almost to its full potential. It tells me where to put or remove comas, it has a plagiarism feature, so you can be sure you are creating your own content, and it boosts your confidence when you have everything 100% correct! SmugMug: I am designer and a photographer, and I know the importance of having an online portfolio. In the past I've used services like Carbonmade, and currently just taking advantage of my subscription with Adobe Creative Cloud (they offer a free portfolio service for subscribers), but I do love SmugMug, and have seen portfolios from friends who use it. Just stunning. Besides these examples, that I consider tools, I've also joined Zazzle, that is a really quirky shop where you can use your own designs and print them in cups, cushions, wall art, etc; I'm currently loving Zazzle's Frida Kahlo Store; Foodigity, that sells a lot of fun gadgets; Viator, which I have personally used in the past for a trip I made to London, and now they even offer Game of Thrones tours! ; and Advanced Mixology, that sells bar stuff and I feel might be of value for my readers. My blogging journey is only starting, and like I told you before, I'm loving it. I love my little blog that makes me feel creative and accomplished, I love the fact that I recovered my love for design, by designing my blog, and I love that I have to take photos on a regular basis.